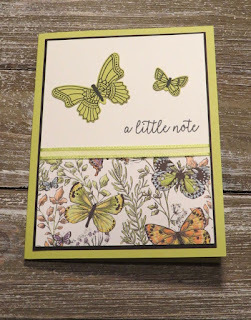 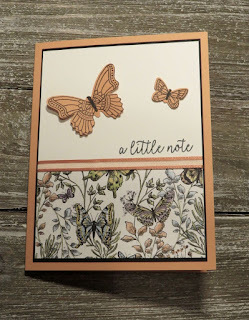 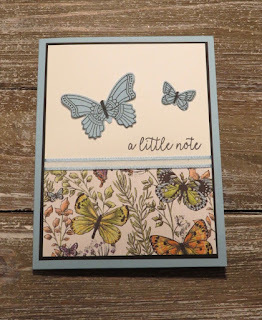 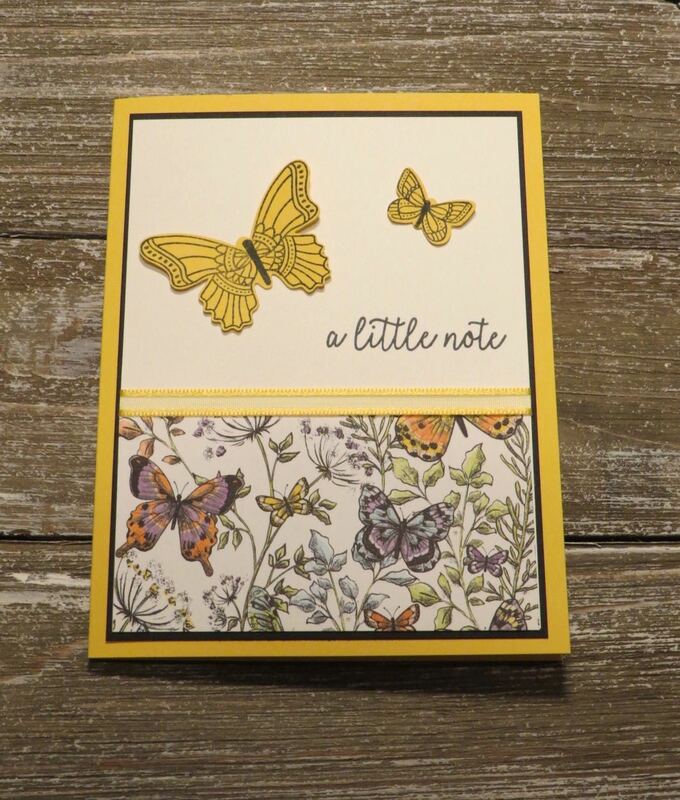 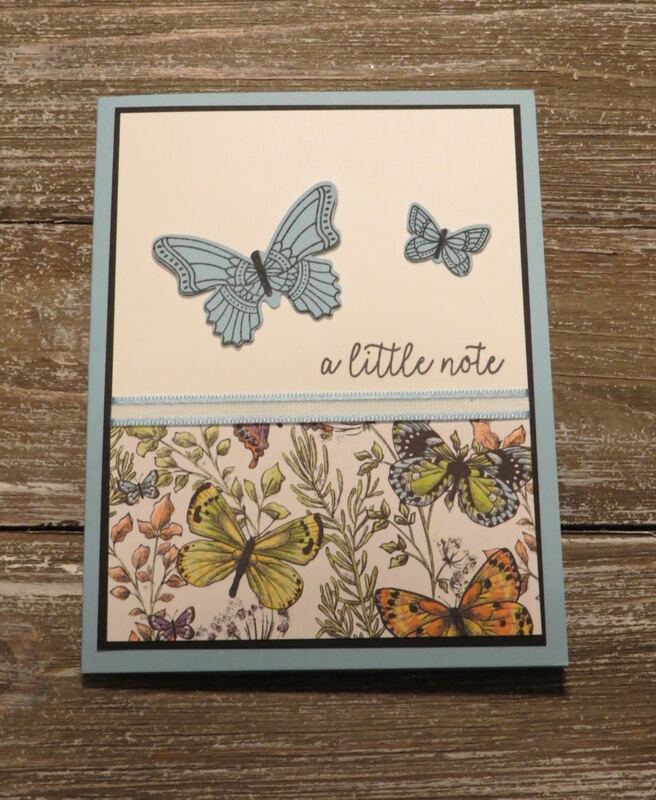 Stampin'Up has a new Bundle called Butterfly Gala. It has the Butterfly Gala stamp set and Butterfly Duet Punch. 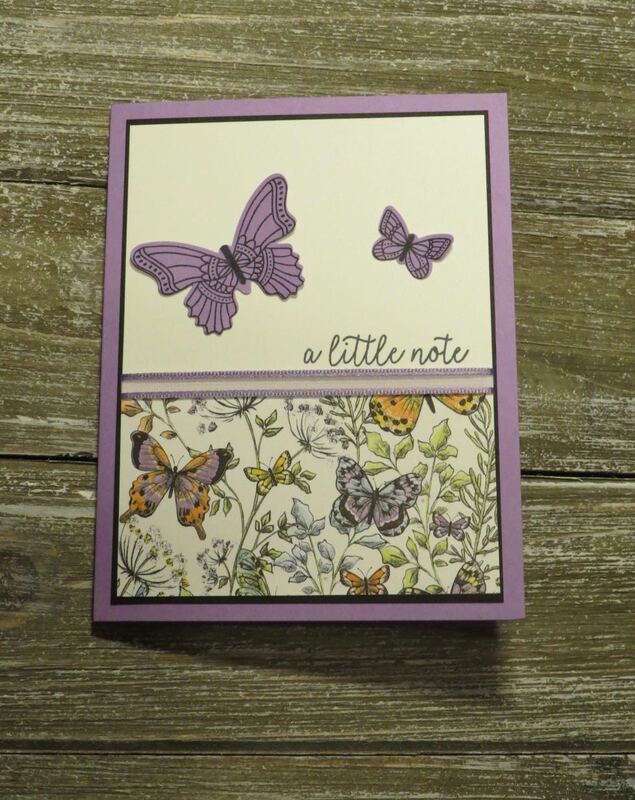 When you purchase these items in a bundle, you save 10%. 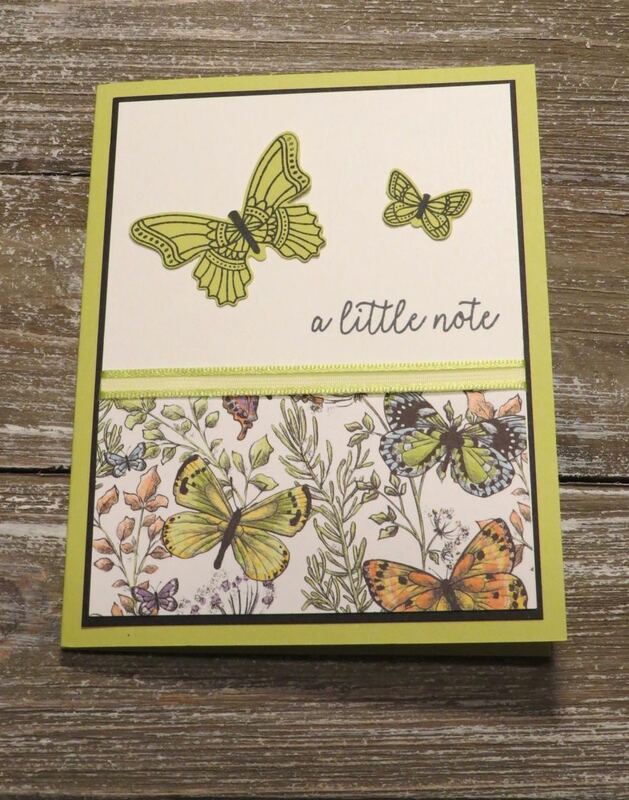 The bundle is $45.75. 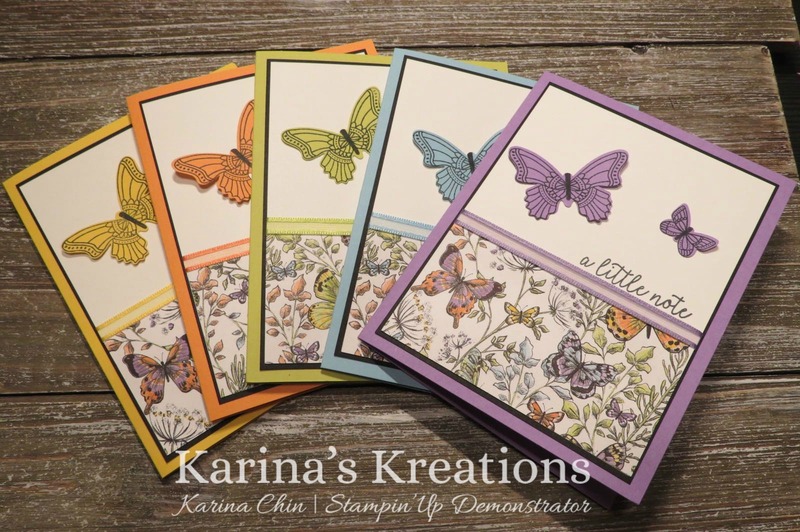 When you order gets to $60, you can get the Botanical Butterfly Designer Series Paper or Organdy Ribbon Combo Pack for free. 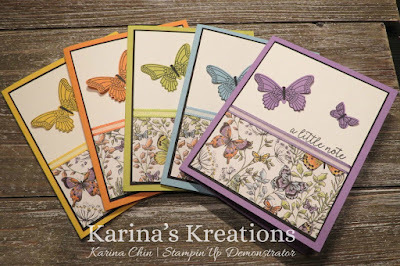 Here's the supply list for these cards. 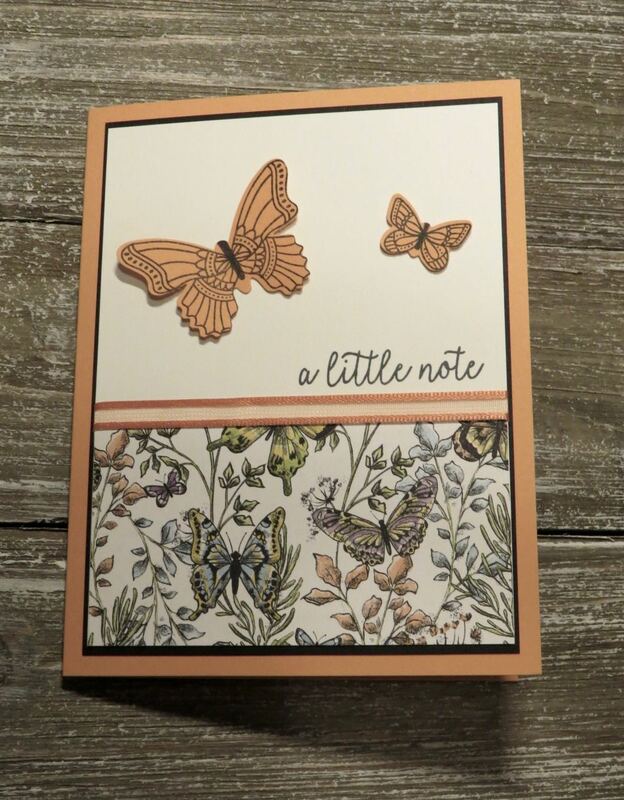 Click on a picture below to place an online order.